In 2016 the U.S. Department of Agriculture approved corn crops genetically engineered to survive dicamba. Today’s application seeks approval from the EPA to spray dicamba on genetically engineered corn. 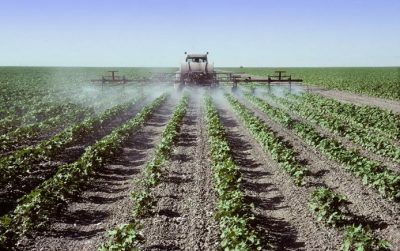 It also aims to establish legally permissible levels of the pesticide in food that people eat. Dicamba use also poses a significant threat to imperiled wildlife. A 2018 Center report found that more than 60 million acres of monarch butterfly habitat are projected to be sprayed with dicamba by next year. And today’s proposal to expand the use of dicamba to corn would expand the acreage of monarch habitat sprayed. Dicamba can degrade monarch habitat in two ways. It can harm flowering plants that provide nectar for adult butterflies as they travel south for the winter, and it can kill milkweed, which, as the only food of monarch caterpillars, is essential for the butterfly’s reproduction. Monarch butterfly populations have been hard hit by pesticides, and the U.S. Fish and Wildlife Service is currently considering whether to give Endangered Species Act protections to the iconic migratory butterfly.